A CONCERT is to be held at St Mary’s Church, Arisaig to commemorate the sinking of the Glenart Castle hospital ship in 1918. 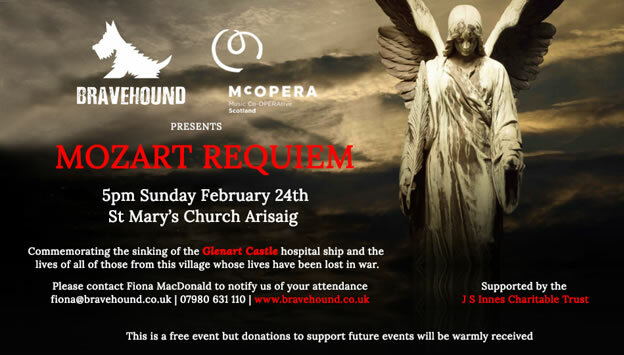 The concert is to be presented by Bravehound and McOpera and will be a performance of Mozart Requiem, conducted by John Marshall. One of the soloists for the concert, Fiona MacDonald, is an opera singer and founder of the Bravehound initiative, which matches veterans with companion dogs to support their rehabilitation and provide therapy for those diagnosed with Post Traumatic Stress Disorder. She was inspired to set it up in memory of her great aunt, the nurse Mary McKinnon, originally from Arisaig, who was killed on the hospital ship Glenart Castle in 1918. She said: “We believe that supporting current veterans is the best way to honour the lives of those who died in the First World War. The choir for this performance are all professional singers, from the Chorus of Scottish Opera, professional operatic friends and recent RCS vocal graduates. 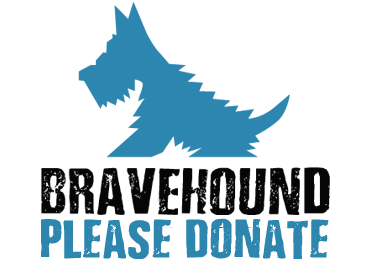 Music Co-OPERAtive Scotland (McOpera) was formed in the spring of 2012 by musicians from the Orchestra of Scottish Opera.